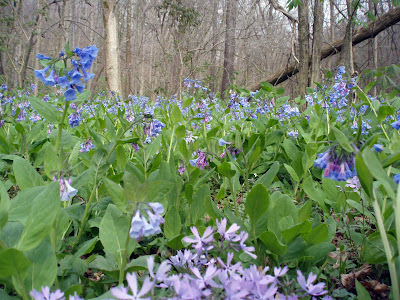 This spring I went to where I had found a hillside of wildflowers in Griffy Park, and my timing was perfect, they were in full bloom last week. 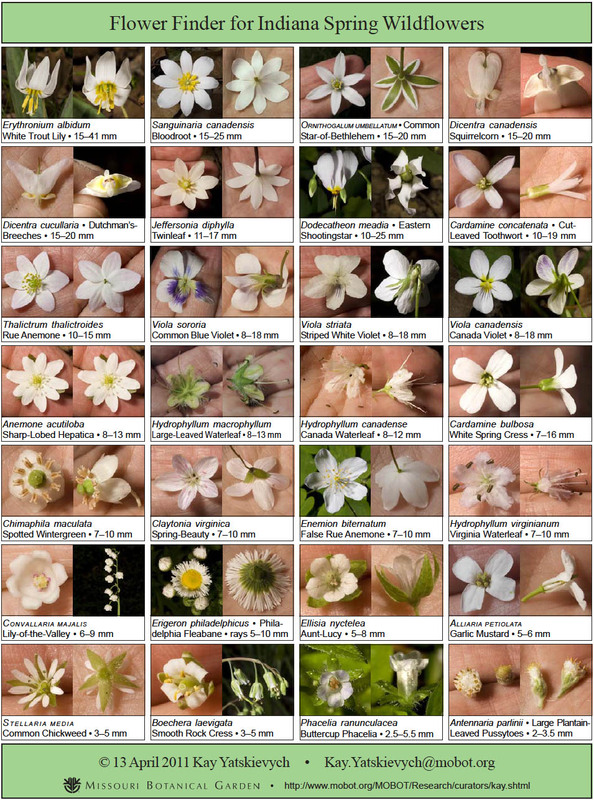 I thought I had found thousands of Dutchman’s Breeches, but when I started looking at my pictures, something was wrong, there were two distinct types of flower, what was this. 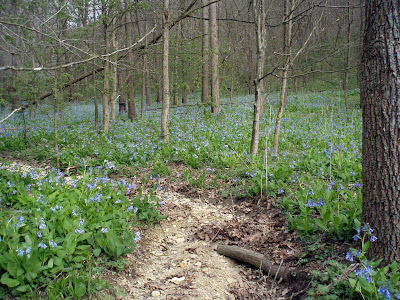 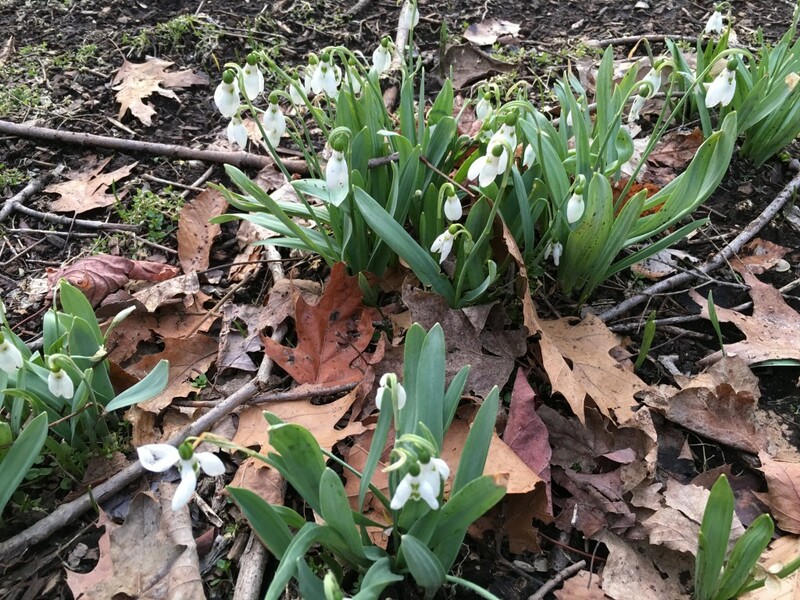 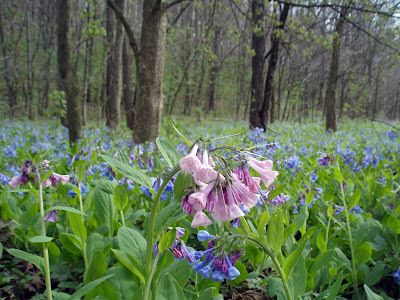 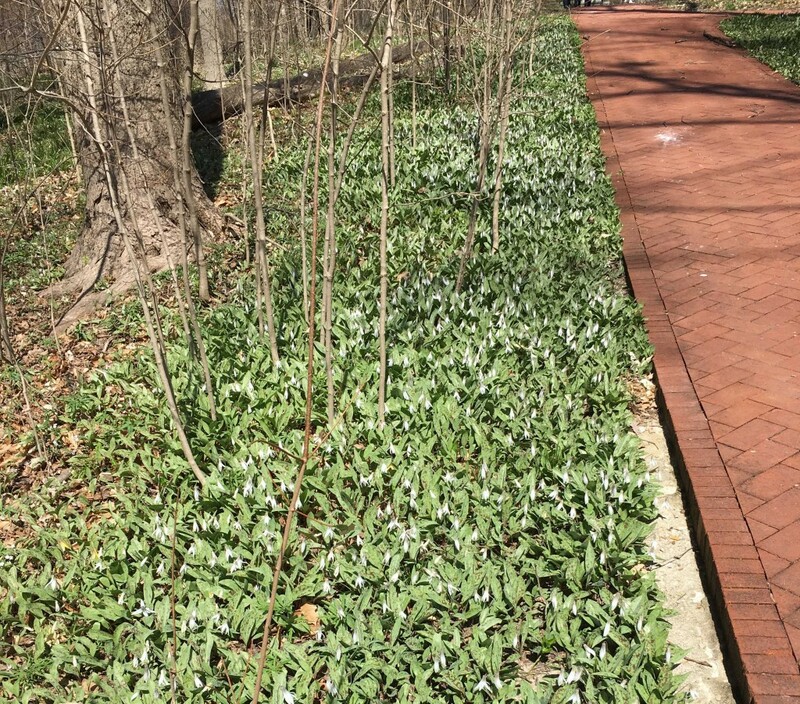 The answer was easily found in looking through the new Flower Finder for Indiana Spring Wildflowers just released by Kay Yatskievych of the Missouri Botanical Garden. 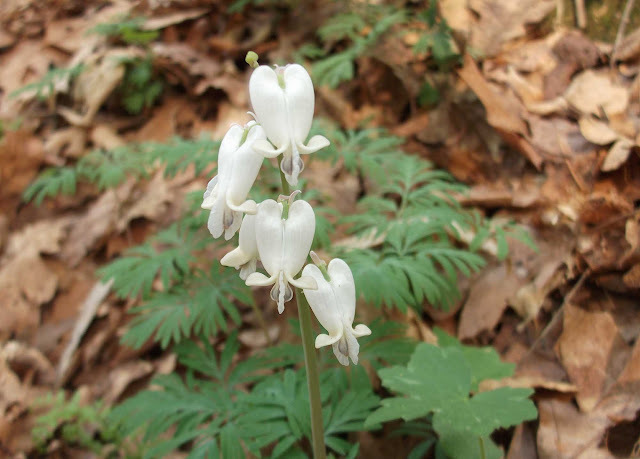 There were a couple of Dutchman’s Breeches, Dicentra cucullaria, in the mix, but the vast majority of plants were its cousin Squirrelcorn, Dicentra canadensis. 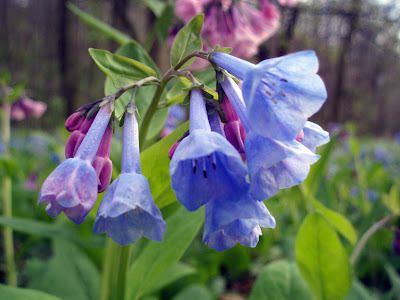 As the latin name implies, they are a 2 part flower, but both the flower and the foliage are different several respects. 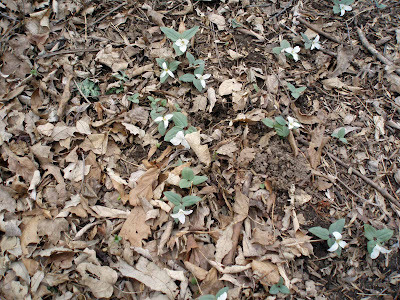 I was walking in Dunn Woods at lunch today and heard the unmistakable call of a Cooper’s hawk nearby. 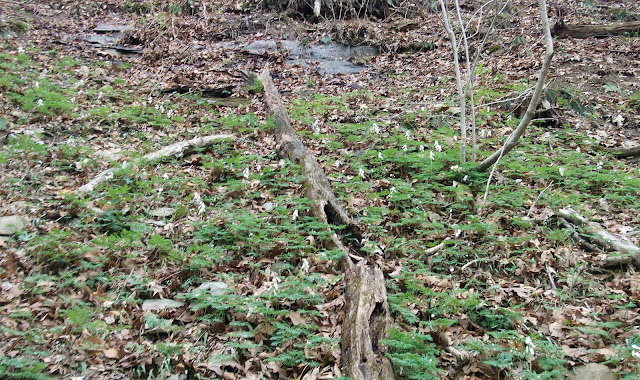 I looked at the nest they used last year, and sure enough I saw a tail hanging over the edge, then turn and disappear in the sticks that make up the nest. 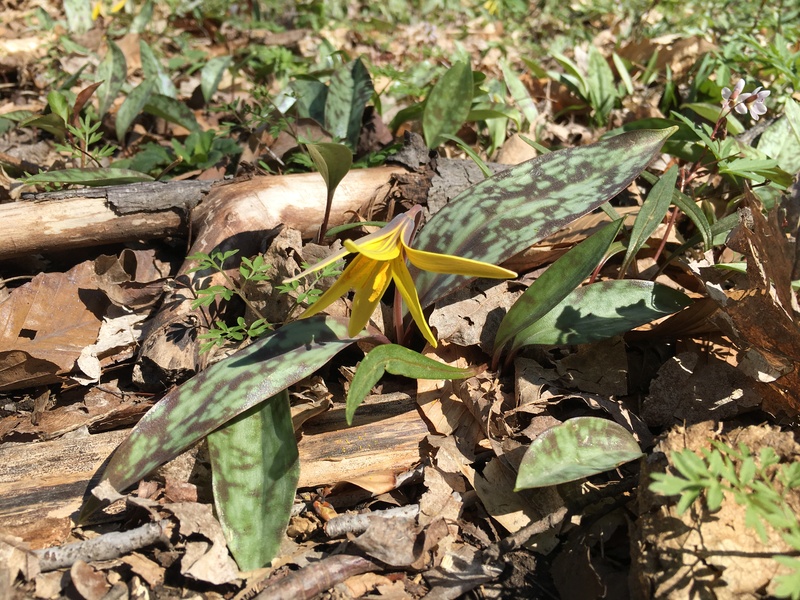 I walked to the top of the hill where I had seen a patch of trout lily (Erythronium americanum) leaves a couple day earlier. 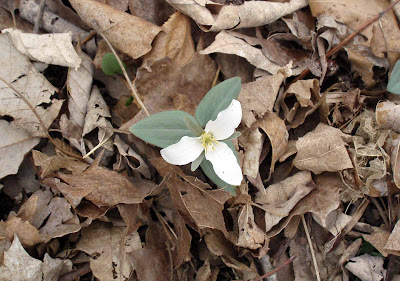 Sure enough, there were dozens of the the little yellow wildflowers, sharing the forest floor with the Spring Beauty (Claytonia virginica) that is widely dispersed in Dunn Woods. 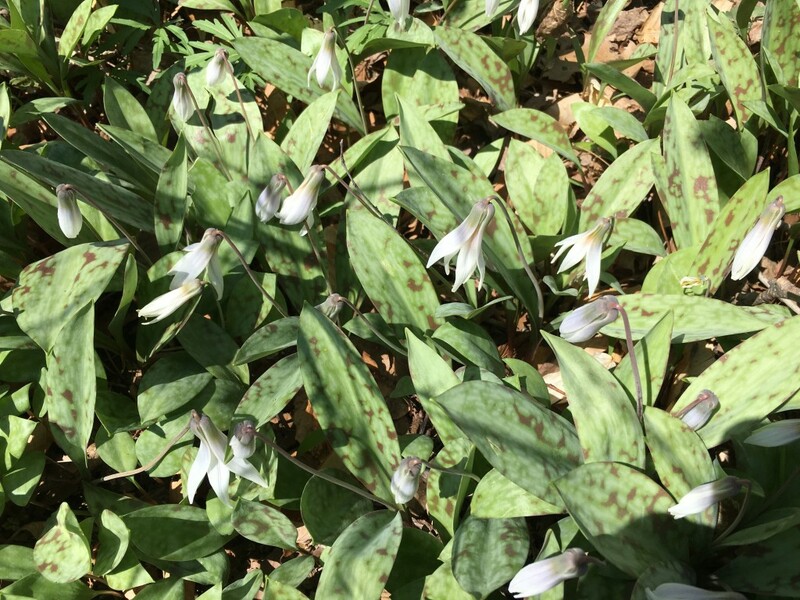 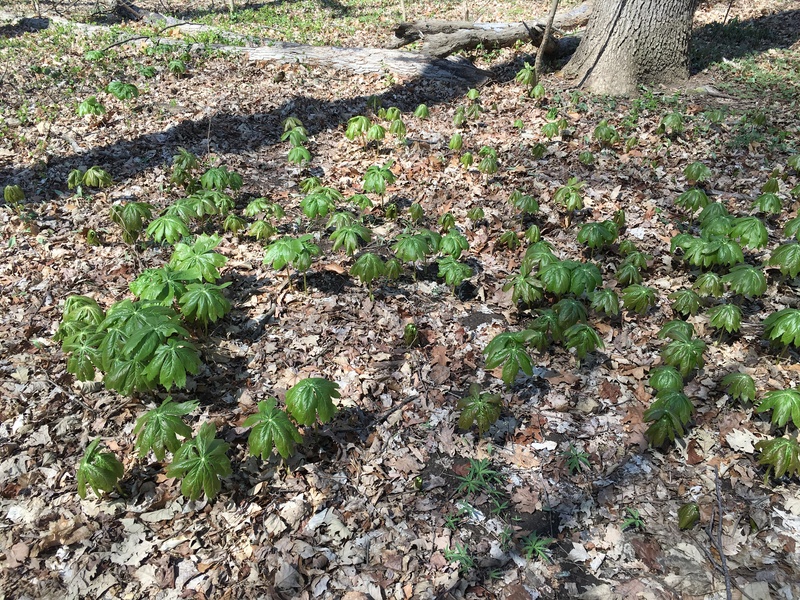 On a bike trip today, I found the first wildflowers of my season, a healthy group of trillium grandiflorum on the steep hillside overlooking Shirley Springs at the Leonard Springs Nature Park. 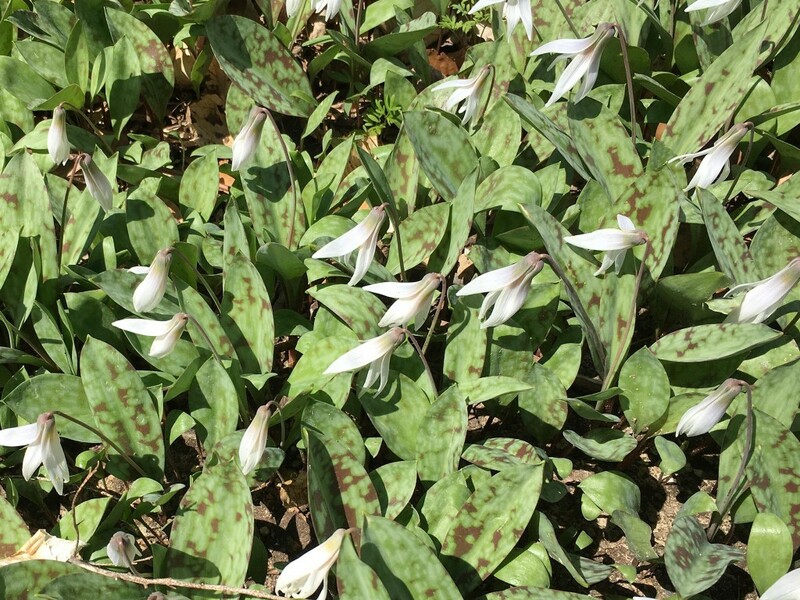 I got this good close-up of a single plant, and of a bunch of them on the hillside.